Collaborating with Tony Philippou on two new pieces. 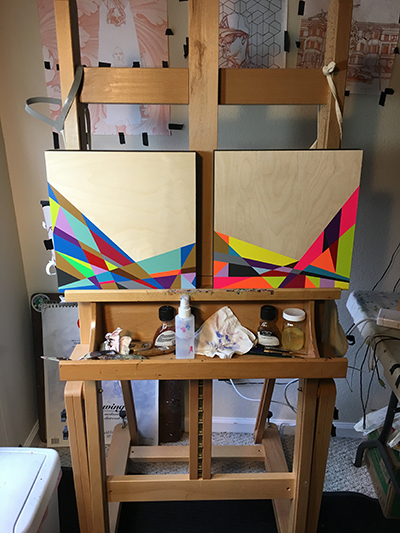 These two “Fractal Series” works on birch panel with @montanacans are fresh out of the @southparksandiego studio & have arrived to my talented brother @tony_philippou in Orlando, Florida. Here is a view of the pieces resting on his easel. The raw birch sections of these two pieces will be blessed with Tony’s creative visions and will then be released to the public through our websites.